Our maintainers are the lynchpins of the language tracks and exercises on Exercism. This group of wonderful people maintain the Go Track, creating and updating the exercises and tooling for Go. 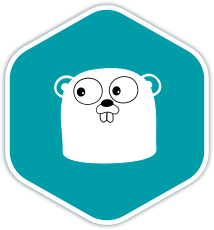 I love Go for its simplicity and consistency. I also appreciate how hard the Go project is working to make the ecosystem welcoming to newcomers. I no longer maintain the Go track, but still maintain the Go tooling on Exercism. I write a lot of Go for my day job, building platforms for other software engineers to use. The Exercism Go track was the first open-source project I joined; I'm grateful for all I've learned through this experience. I used to be an artist, and am now a software engineer, using Go for forensics monitoring. Exercism's Go track opened up the world of open source to me. Firmware Engineer by day. I like Go a lot, and I'm optimistic about its adoption. Helping on Exercism track allows me to learn more. My focus is adding exercise solutions and test case generators.